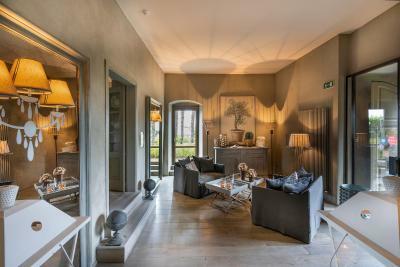 Lock in a great price for Villa Sassolini Luxury Boutique Hotel, The Originals Hotels – rated 8.9 by recent guests! One of the best hotels I’ve ever been to! Such an incredible experience. Beautiful property! Nice decoration and the owner made the difference! Very friendly staff! Everything was perfect from check in to check out. This is a perfect location to relax and enjoy yourself. Excellent rooms, great staff and management, wonderful food. Wow!!!! Amazing beautiful tranquil hotel.... we stayed in one of the Annex rooms...with its own private terrace. Staff super friendly...and the food was wonderful....just stayed one night...will stay longer next time!! The staff are wonderful and very friendly! They were so attentive and made our honeymoon stay very memorable. The amenities and room were absolutely stunning! I love the decor and have never stayed anywhere like it. 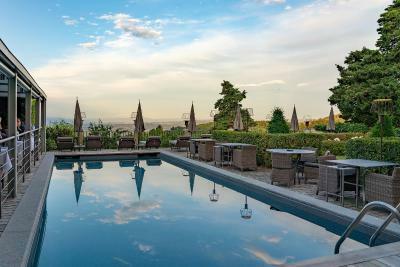 It was great to lay by the pool each day and relax and we took the mountain bikes out to explore. The food was superb and we ate there for every meal. My husband is Italian and loved the pasta and lamb cutlets, he has high standards when it comes to food so it says a lot. 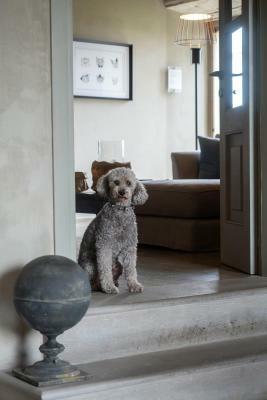 Lastly, the property dog Smog is just the sweetest and was nice to have around if you're away from your furry child like we were. We look forward to returning with friends in the near future! 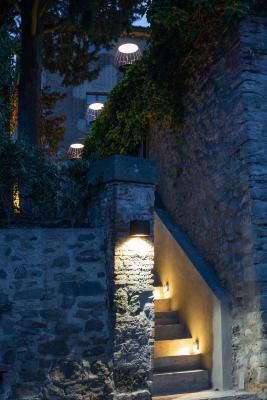 Is more than an hotel, is a dreaming place where every single detail is at its right place. You feel home after the first hour. 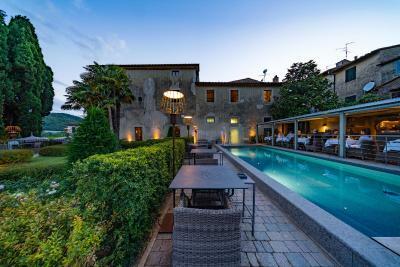 Wonderful villa, lovely and friendly staff, romantic location. 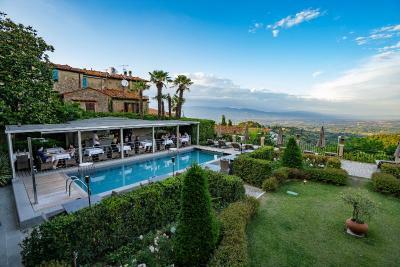 Villa Sassolini Luxury Boutique Hotel, The Originals Hotels This rating is a reflection of how the property compares to the industry standard when it comes to price, facilities and services available. It's based on a self-evaluation by the property. Use this rating to help choose your stay! 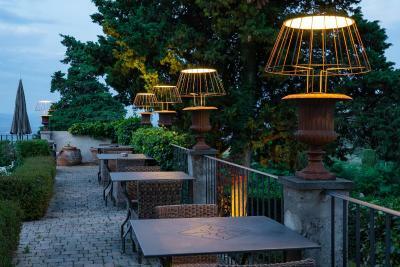 One of our top picks in Montevarchi.Hotel The Originals Villa Sassolini is located in Montevarchi and has free bikes, a seasonal outdoor swimming pool and a fitness center. With a spa & wellness center, the property also features a garden, as well as a terrace. The restaurant serves Local cuisine. Guests at the hotel can enjoy a continental or a buffet breakfast. 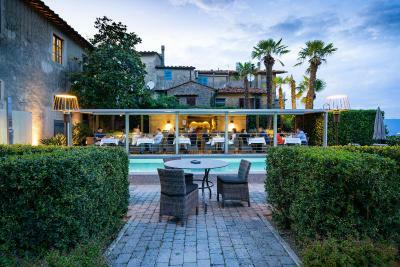 Hotel The Originals Villa Sassolini offers 4-star accommodations with a hot tub. Cycling is among the activities that guests can enjoy near the accommodations. 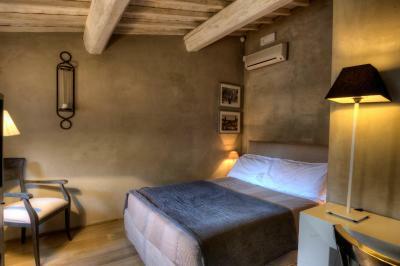 Siena is 27 mi from Hotel The Originals Villa Sassolini. Florence Airport is 47 mi from the property. 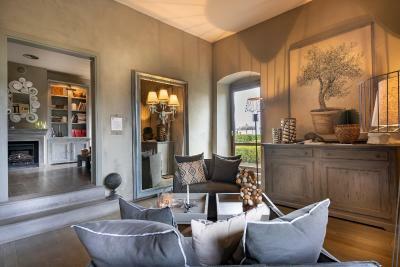 When would you like to stay at Villa Sassolini Luxury Boutique Hotel, The Originals Hotels? This suite has a electric kettle, tea/coffee maker and air conditioning. This family room features a electric kettle, air conditioning and mini-bar. This suite has a electric kettle, sofa and mini-bar. 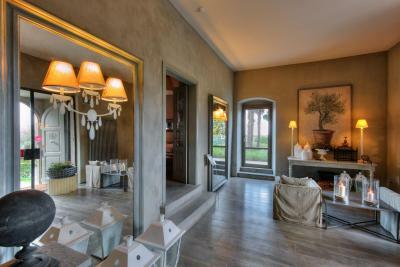 House Rules Villa Sassolini Luxury Boutique Hotel, The Originals Hotels takes special requests – add in the next step! Villa Sassolini Luxury Boutique Hotel, The Originals Hotels accepts these cards and reserves the right to temporarily hold an amount prior to arrival. The only area for improvement is the swimming pool temperature. Check in was empty on arrival. Had to look around the hotel for 5 minutes before someone came to help. No onsite parking. Considering the property is a ‘luxury hotel and spa’ it fell short. The spa was open only between 3-7pm and on request (you need to notify 30 minutes before you wish to use it), the pool in the spa was broken and not in use. Other facilities were gym (two machines), small steam room and a smaller sauna. The spa is not on the property, short walk outside across the road, was wearing a bathrobe thinking it’s on the property and had to walk outside in the neighbourhood. The swimming pool and outside seating area are in the shade all afternoon. We arrived to the property around 2pm and had nothing to do there. The junior suite is nice, rather claustrophobic being in the attic of the hotel with extremely low ceilings and tiny windows. The bathroom was broken and there was overflowing in the shower which has been going on for a while as the bathroom smelled of damp and no light in the shower. 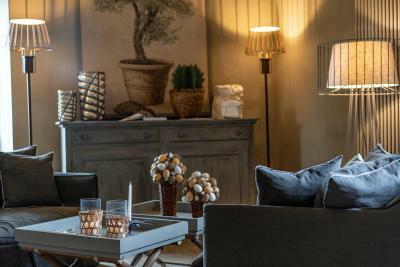 Overall staff were difficult to find in the small property, everything was on request and nothing readily available as you would expect from a ‘luxury’ hotel. The staff were extremely awkward and did not go out of their way to help or offer recommendations on activities nearby. Would not recommend. The smell at the entrance was very nice. The views are beautiful, shame you cannot see them from the bedroom windows. Damaged toilet seat. Broken bin. At to wait 40 minutes to check out. Was told that they were doing people’s breakfasts. I had to wait. So no early start. Would not expect this better from a 4 star hotel. Breakfast should be better, more varieties should be introduced for a hotel of this price. Didn’t allow us to relax as a family. We felt awkward and uncomfortable after being asked to keep the noise down whilst using the pool. We have two young children who were naturally enjoying the facility but not being excessively noisy. We only used the pool 3 times during our 4 night stay, for a max 30 mins each time, so could hardly have been disrupting the other guests. If the hotel wants to be adult only then perhaps don’t accept bookings from families or market a “family suite”. A great shame as our stay was otherwise very enjoyable. Everything a hidden gem! Truly fabulous! We hurried through the check in without any real introduction, we weren’t shown any of the facilities and we were left feeling a bit awkward to leave the room. We weren’t sure what were our options, if we could order a drink, what time breakfast was, we had to ask about everything. Also the bike has no brakes. The property is amazing, clean and lovely pool. 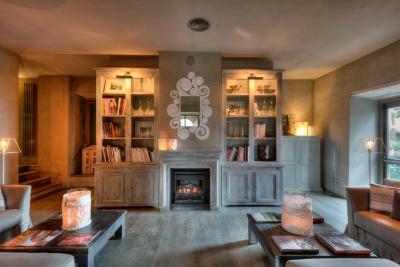 The additional services like the cooking class and massages require cash payments only; although the nearest ATM is a €25 cab ride into Montevarchi. It would have been helpful to know ahead of time to bring a couple hundred euros in cash. For example the cooking class is €140 per person and massages range from €80-€105 per person. We unfortunately didn't do either as we weren't planning on heading back into town and didn't have a car to do so.